A Belated Happy New year and thanks for reading ! So without further ado this is the after christmas and new year entry. 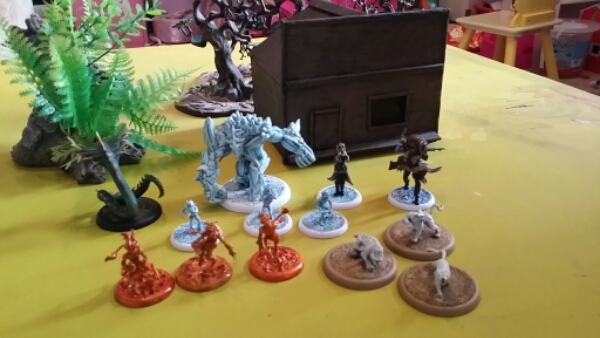 Well Father Christmas via war wife bought some more malifaux models so I now have a little Neverborn crew as well as arcanist crew deveolping. Having some extra time but not as much as I would like I assembled and painted up the Arcanist crew I started at the begining of December. With Malifaux I really wanted to experiment with unique bases for each models individual setting. Very simple to paint about 2 evenings work in with some other bits. 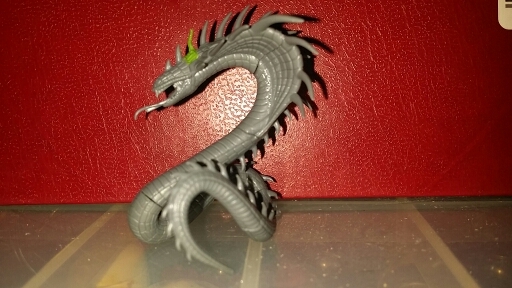 Next was the Poltergeist, I wanted the poltergeist to look really powerful rather than just throwing a few bits around a room which would be hard to do with a miniature anyway. 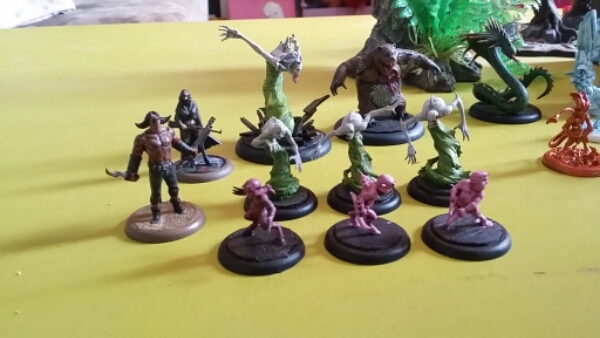 So I decided that my Neverborn crew would be mounted on floorboards and haunting a bedroom near you ! And that the Poltergeist would be throwing the floor boards from around him. This was achived with a few scraps of balsa wood. As per Photos and Lastly for this TWC’s Mailfaux section. Wendingo very near just finishing work. 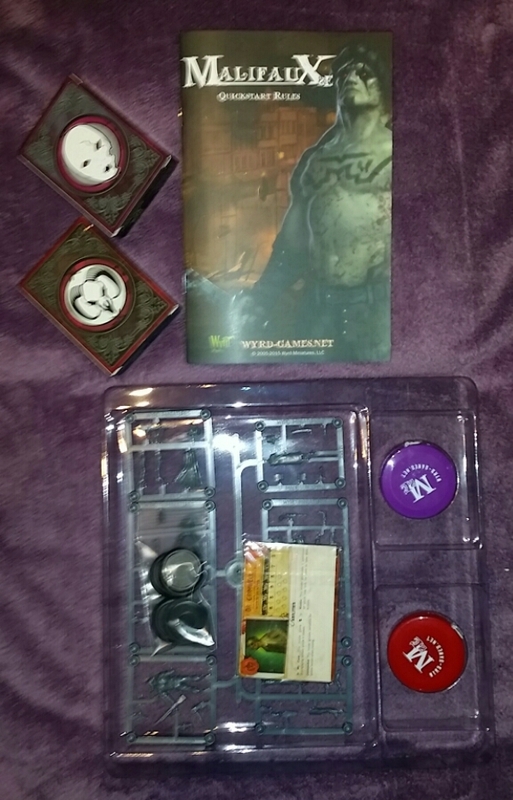 The next job will be the assembly of the rest of the Neverborn, Including some Terror tots to be complete soon. Work also continued to the remaining Ogres and the Beastclaw Avalance. 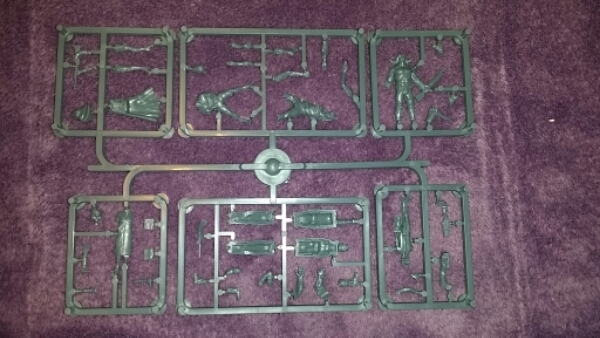 Good news is during a xmas tidy up I found the missing sprues to the Thundertusk in a really useful box. “Useful being the word” and proceeded to mount the rear rope and riders. For the second Thundertusk rider as TWC#5, I elected for him to be eating a rat, with a bit of sculpting and a Skaven rat, the ogre is now having a battle snack. The Thundertusk has 2 riders and during mounting I noticed that the front rider who already had the bridal arm fitted was siting far to high for the bridal straps to fit to the Thundertusks head, I couldnt remember if the rider sitting high was by my design or part of the original ebay problem, so I busted out the greenstuff and extended the Bridal straps. At the end of the day I am very Happy how the thundertusk turned out as he cost me about £8 from ebay and with a bit of work and parts from the Stonehorn has turned out ok.
All in all a decent amount of work produced over Christmas without sacrificing family time. 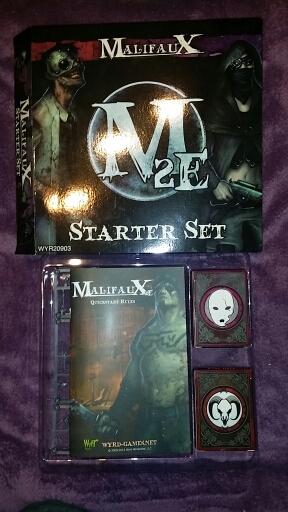 Cant wait to put the Malifaux crew in action, over at a new Club I shall be frequenting. Posted: December 16, 2015 in What Will the Wife Think ? Photo below is a work in progress of the filling. The extra spine needs attention as do the joints, but I think it is safe to say that this model as simple as it is needs some degree of modelling skill, I am not a great kneadtite user but am trying to improve my skills.